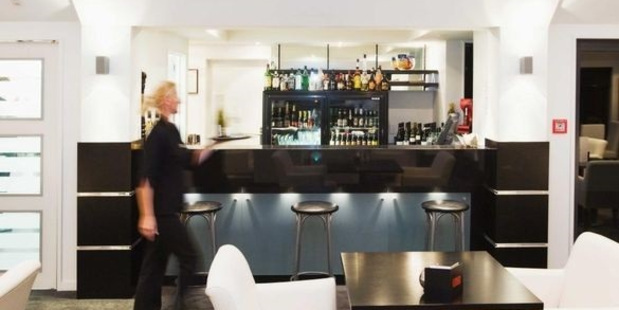 Shandelle Battersby checks in to the Chateau Marlborough, in Blenheim. Location: About a 10-minute drive from Blenheim Airport, in the middle of town. Check-in experience: A little confusion as some of the rooms are in a new wing of the property completed in October, and we weren’t quite sure where to go. Room: A very spacious Chateau Studio, with a separate lounge area, heat pump and small work station for crunching the numbers. There are a range of options here, from Classic Studios to a two-bedroom Grande Penthouse. A nice touch is the next day’s weather forecast, which comes with a fun fact. Price: Rooms start from $169. What’s so good about this place? There’s a great pool area with comfy outdoor furniture, which was being utilised by a lot of people on a stunning Marlborough summer’s day. Room service: No, and the mini-bar is slight. There is an on-site restaurant called Quench. A local recommended nearby Ritual cafe, a five-minute walk. What’s in the neighbourhood? Countdown is close (handy if you’re in a room with kitchen facilities) and the main street is only a couple of blocks away. The bed: A super king split with an electric blanket. The pillows were, however, a little big for my small head. A room with a view? The very dry Wither Hills are visible in the distance and there’s a pretty Victorian-looking property next door. Bathroom: A walk-in shower with a large porcelain lip designed so water doesn’t go all over the floor. Toiletries: May Chang dispenser bottles of shampoo, conditioner, shower gel and body lotion, with a note not to remove them. The shower has no shelves, so you have to reach out to where the bottles sit on the vanity. Noise: It was a Saturday and I could hear thumping bass from either a party or a bar but as I always travel with earplugs, not a drama. Facilities: There’s a new day spa on site, and a small gym. There are also facilities for charging electric cars. Perfect for: Anyone really – families as well as business and leisure travellers.